In the campaign "Marengo Campaign" (MC folder) there seems to be a problem with loss carryover. I am not sure why this is happening as there is only ONE OB file associated with this particular branch (2C). We are at turn 19 of 70 turns in our fourth battle. The Branch we are at is 5c3. The Austrians are not having any problems with loss carryover. The scenarios were all made using the SAME OB file. Thus I didnt create the OB file, make up part of the 3C branch scenarios, change the OB file midway, and then generate more scenarios. I actually created an ORG.txt file for both of the scenarios - 3C1 and 5C3 - we have played. Ultra Compare found that the ORGs are identical. Hoping that John Tiller can solve this one. It has me puzzled. I will do some independent testing of the campaign myself using a sample solo game playing both sides and causing losses to all units in the game (for the most part) so I can see what is happening. One dead giveaway is if you see a unit with something like "8 men" ... could that that the old unit was a gun battery (of 8 guns) while the new unit could be something like a 650 man battalion. The other three major branches in the campaign use the same OB file - Marengo_Campaign.oob. The OB File that my opponent and I are using is Marengo_Campaign-2C.oob. As none of the ORG mapping has changed since the release of the game via the latest update there should not be a problem with the campaigns. This one has me a bit baffled. I ran a test campaign to see if I could replicate the problem I was having. 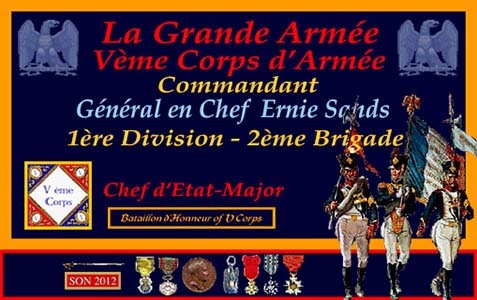 In my test campaign Moncey's corps did not have any losses that were carried over from other units outside his command. I am not sure what happened. This may have just been a glitch. In any case I have surrendered in my campaign and I will try again to see if this happens. I plan on running several tests to see if I can get this to happen again. If not ... oh well .. that's life.